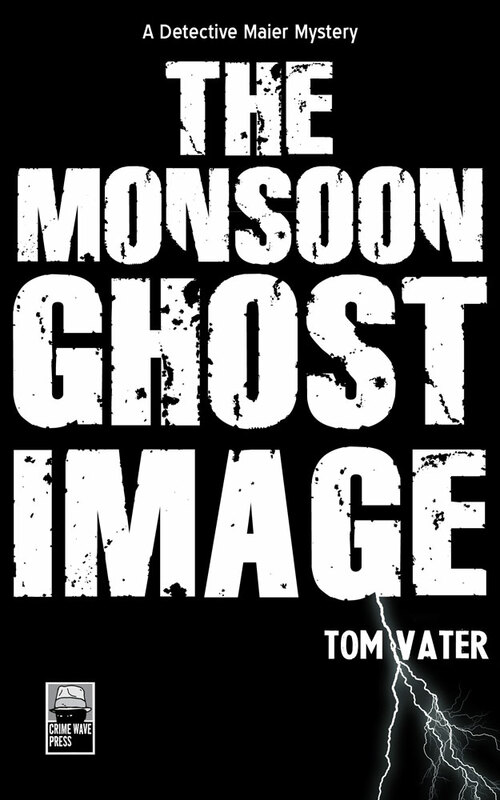 Fellow author Janet Brown has posted a fantastic and very thorough review of The Monsoon Ghost Image on Amazon. E book copies are US$3.99 at the moment. It’s not easy to find a true noir detective in fiction these days, probably because as the German gumshoe Maier decides in The Monsoon Ghost Image, “Why solve a crime when everything he read about was criminal?” Maier, as was clearly shown in the first two novels in his trilogy, is no starry-eyed idealist about life and crime but the state of the post-9/11 world has him living in a bottle of Orange Campari, drinking crushed insects and waking up to a life “dulled by booze, self-inflicted monotony, and isolation.” “He could no longer remember a world that was reasonably safe.” Still he remains part of a family of investigators and when called by the man whom he works for and respects, he responds. A man who has become one of Germany’s national heroes, a photographer who has risked his life over and over to show the world the face of war, is presumed dead after his boat is blown to smithereens off the coast of Thailand. His widow, however, has reason to doubt that the funeral she presides over is a valid one, and she wants to tell Maier what those reasons are. And suddenly readers are in a world invented by Raymond Chandler, where the hardened detective faces a beautiful woman who “carried herself like someone who swam a mile a day. Every day.” Behind Emilie Ritter’s black veil is a face that has tempted Maier for years. When she shows him an email from “the Wicked Witch” who assures her that Martin Ritter is alive and well in Bangkok, “involved in the crime of the century,” Maier takes the case, even though his instincts tell him he’s walking into a trap. Accompanied by Mikhail, a deadly gay giant with the “air of an eastern Mike Tyson who read Bulgakow on Quaaludes, 150 kilos of Russian super power,” he goes off to the city of Fellinis, those “holiday psychos who arrived in their thousands every day” to throng the streets of Thailand’s capital city. Maier becomes immersed in “downtown Bangkok, where there was nothing to look at but plenty to see.” Here he encounters a “man who could charm a snail onto a razorblade,” a transgender woman who “had invested thousands of dollars to look like a million,” and “the kind of guy who would chew through his own arm for his master,” in a city where “it was both unfashionable and dangerous to think about the bigger picture.” It’s all comfortably noir until it becomes unimaginably evil on a global scale. Martin Ritter is indeed alive, documenting atrocities at the front line of the War on Terror, and he’s made the ill-advised mistake of trying to profit from his new line of work. But when readers finish this book, none of us will be able to say, just as Maier no longer can, “We are not killers, Mikhail.” We’ve all been laid low by “the perfect 21st Century weapon,” shattered by reading “It’s radical stuff… when you think of what we really need to do when we face evil. We have to become evil. We have to embrace evil.” And if only by our tacit silence, we all have.